The next generation multi-channel platform is here. The Blue Sage digital lending platform is what’s next, and it’s here right now. 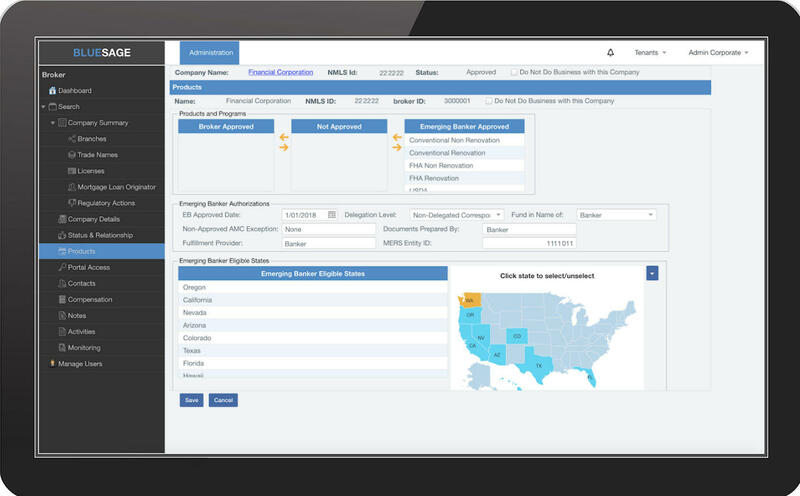 Every aspect of every loan – Correspondent, Retail, and Wholesale – is rolled into our automated, cloud-based solution. The entire loan is managed in our browser-based interface – fulfillment, underwriting, closing, funding, and post-closing – and is processed efficiently, transparently, and compliantly. Scalable and intuitive, the platform is simple to configure and use. And the next-gen cloud technology is blazing fast, hyper secure, and incredibly reliable. And borrowers and lenders can use it anywhere, on any device. Our self-service application turns browsers into customers at digital speed. Potential borrowers easily shop, price, and apply for a loan online. Intuitive and responsive, the interface carries them through the process, works on any device, and it does it all – credit and pricing, conditions and compliance, disclosures and e-signing – from your own custom web portal. Out-of-the-Box meets custom. 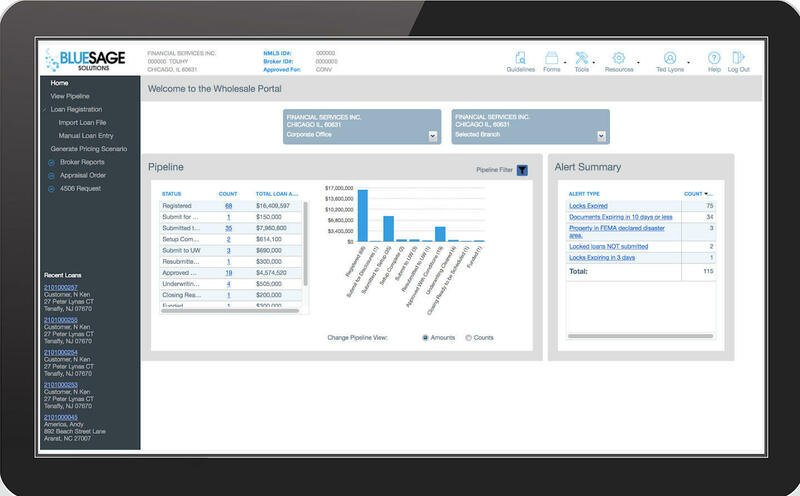 Simple configuration tools mean our website and portal applications quickly become yours. Align with your workflow, personalize them with individual lender’s content, then brand them to engage borrowers, brokers, and correspondents the way you want to engage them. Turn leads into relationships, and relationships into customers. Our POS and CRM are fully featured to give your LO’s the tools and transparency they need to engage and convert. And it’s all rolled together – a single system that handles prospecting, selling, and working with borrowers through every step of the lending process. Retail, Wholesale, or Correspondent – our intelligent automation connects you with borrowers, automates every process, and quickly closes compliant loans. It’s a single system that guides processes to eliminate errors and speed workflows. And the LOS is always with you thanks to our mobile app and browser-based technology. Apply from the couch, close over coffee. Our app lets everyone work anywhere, anytime, on any device. Borrowers get automatic updates so they can take the steps to keep their loan moving. LO’s can access Blue Sage from anywhere to connect with contacts and service customers on the spot. And it’s all browser based, so what happens on the road goes right into your database.